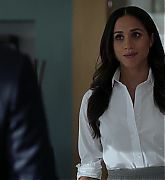 Could Meghan Markle win an Emmy for Suits this year? But could her year end with an Emmy award? It’s possible. 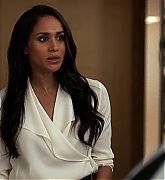 The Duchess of Sussex has officially been submitted for Emmy consideration for her role of Rachel Zane on USA’s network legal series Suits. She would potentially be nominated in the category of Outstanding Supporting Actress in a Drama Series. She’d be up against some stiff competition. Last year, The Handmaid’s Tale actresses Ann Dowd took home the gold-winged statue. Other nominees have included Chrissy Metz from This Is Us, Thandie Newton from Westworld, and Millie Bobby Brown from Stranger Things. 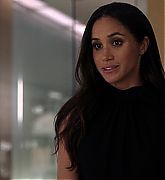 Markle’s other Suits cast members have also reportedly been submitted for Emmy nominations. They include: Patrick J. Adams (Mike Ross) and Gabriel Macht (Harvey Specter) for Outstanding Lead Actor in a Drama Series, Rick Hoffman (Louis Litt) for Supporting Actor, Sarah Rafferty (Donna Paulsen) for Supporting Actress, and Gina Torres (Jessica Pearson) for Guest Actress. 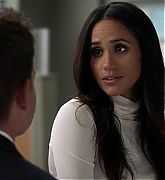 Markle’s nomination would be the first for the retired 36-year-old actress, even though USA Network has submitted the entire cast for the past six seasons. 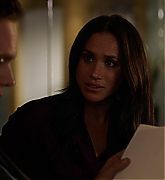 Markle announced her decision to leave Hollywood and her role on Suits when she became engaged to Prince Harry. “I don’t see it as giving anything up. 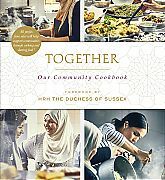 I just see it as a change,” Markle said in a sit-down interview with the BBC. “It’s a new chapter, right? And also, keep in mind, I’ve been working on [Suits] for seven years. 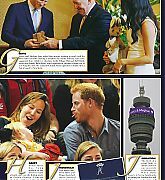 We were very, very fortunate to have that sort of longevity on a series… I’ve ticked this box, and I feel very proud of the work I’ve done there, and now it’s time to work with [Harry] as a team,” she added. 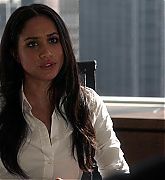 Posted on June 13, 2018 Written by Mary Comments Off on Could Meghan Markle win an Emmy for Suits this year? I’ve finally added 270 HD screencaptures from Meghan’s last episode of Suits. Enjoy! 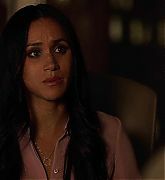 I’ve added HD screencaps of Meghan from 7×15 – Tiny Violin episode of Suits. Enjoy! 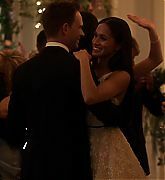 It was a tearful finale for Suits, which said goodbye to two of its main characters with a fairy tale wedding, seasons in the making. 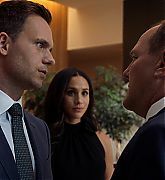 Mike (Patrick J. Adams) and Rachel (Meghan Markle) spent their final episode fighting corrupt Fortune 500 companies and trading “I do’s” in front of their closest family and friends. It turned out that Mike’s dream job offer of running a firm that solely tackled class action law suits in Seattle was in fact very real and not a set up by the power company he was fighting in court. When Rachel did some digging into said company, she discovered the job offer was still open and decided it was an opportunity the lovebirds couldn’t waste. Of course, they couldn’t leave New York without tying the knot. The moved up their wedding six weeks, recruiting Donna (Sarah Rafferty) because only she could get a job like this done, and had a rustic and chic night wedding. 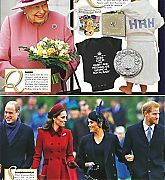 Rachel looked radiant in a lace white dress, far simpler than what Meghan Markle is expected to wear for her own wedding to Prince Harry in a few weeks. Mike and his best man Harvey (Gabriel Macht), matched in their tailored suits (Sorry, it was too irresistible to pass up). Mike and Rachel have been an item since Season 1 and have been engaged since Season 5. Prison stints and reorganizing law firms have kept the nuptials from happening earlier, but the wedding felt like the perfect way to send them off into the sunset together. It is the happy ending they deserve, even if their departure comes sooner than fans wanted. However, the most poignant moment of the entire ceremony actually came in Mike’s goodbye to his mentor Harvey. Yes, Mike and Rachel have been romantically entangled in some way or another over the course of the entire season, but Harvey and Mike have been pseudo-brothers from the opening of the pilot. They are the titular suits and their friendship has been the central relationship of the show since the beginning. That’s what made it so touching when Mike announced that he was leaving because he was ready. Harvey had taught him everything that he knew and now Mike is ready to go out into the world and become the lawyer he’s always wanted to be. He’s no longer a kid or a fraud. He’s a man with goals and ideals and it’s time for him to stand on his own two feet. Harvey was sad to see his No. 2 go, but even he could see that it was time to let Mike and Rachel leave the nest. Cheers to the happy couple, and here’s to changing the world one lead poisoning case at a time. Suits Season 8 will air later this year on USA. Okay, now it’s starting to feel like Patrick J. Adams’ time on the show is coming to an end. With two more episodes left this season, “Pulling the Goalies” sees Harvey and Mike team-up to help Judge Ralls, the judge who presided over Mike’s fraud case. Seeing Harvey and Mike kicking it like the good ol’ days has been a rare occurrence in the past few seasons, so it was nice that we got one more Batman and Robin takedown before Adams leaves the show. Obviously, this case wasn’t without its bumps. Judge Ralls approaches Mike to represent her in the lawsuit, claiming she overturned a verdict for personal gain. She swears she didn’t do it, and guilt trips Mike into taking the case since she treated him fairly during his trial. She even quotes his closing statement back at him. So obviously Mike feels compelled to take it. 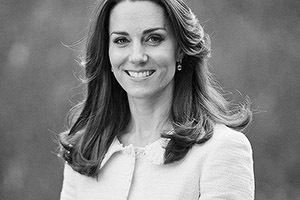 However, taking her on as a client means the firm would have to drop any client that has a case in her court. This is the last thing Harvey wants to do, but Mike asks him to work on it with him because he wants them to have fun together and thinks Harvey might need a distraction from his break-up. So, the two get to work on the case, which proves to be trickier than they expected. But that’s not really important here. What’s important is the meal the two share while working where Harvey tells Mike about Donna kissing him, and Mike admits that he told Donna to tell Harvey how she felt before it was too late. Harvey realizes Mike couldn’t have known she’d kiss him. So for the moment they’re cool, but once the case heats up, everything changes. Eventually, the opposing counsel suing Ralls tells Mike and Harvey that she’s coming after her. Harvey’s one rule is that clients don’t lie to him, so he’s totally prepared to drop her because that means he won’t have to give up a big client he’s trying to sign. Mike, being Mike, doesn’t want to do that and unfairly accuses Harvey of never sacrificing, which causes a fight. Harvey points out that he has sacrificed everything, and then Mike throws the whole “I went to prison for you” thing in his face. I’ve added 135 HD screencaptures of Meghan from last night’s episode of Suits. Enjoy! All good things must come to an end. The relationships you expected to end ended in tonight’s Suits. Sure, it wasn’t surprising, but it was still rather entertaining to watch exactly how these things fell apart. At the top of the hour, it seems like Harvey and Paula are out of the woods. As they’re enjoying coffee together in the morning, Harvey says he wants to take her out for a nice, intimate dinner. Paula says yes. But what’s supposed to be a romantic dinner for two turns into an awkward evening meal for three people because Harvey’s mom comes down to the city for the night and asks to see him. Not wanting to disappoint either woman, Harvey decides to invite his mother to dinner. The Harvey-Paula-Lily dinner starts out well. There’s laughing, stories are shared. No awkwardness in sight! But then Lily accidentally ruins it. 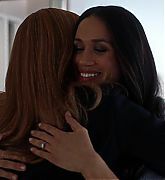 As she’s about to leave, she thanks Paula for being the reason she and Harvey reconnected since Harvey told her that someone important in his life pushed him to do it. But, in case you forgot, that wasn’t Paula. That was Donna. Paula’s face drops, and the meal ends on a very awkward note. I’ve added HD screencaps of Meghan from last night’s episode of Suits. Enjoy! How did Harvey’s conversation with Paula about sleeping with Donna 12 years ago go? Not great Bob! “Bad Man” wastes little time in revealing that Harvey and Paula are on a mini-break of sorts. Harvey hoped that Paula would just yell at him for a bit for lying and then they could move past it, but that’s not what Paula needs right now. No, she needs space to process this information and demands that Harvey gives it to her. Which he does. So, when the episode opens, Harvey is boxing his troubles away, but that’s barely getting the job done since he can’t stop thinking about their conversation. Thankfully, our lord and savior Jessica Pearson appears to Harvey (via a phone call) with a problem that’ll help keep his mind off of his relationship issues. Jessica, who is totally fine with the harsh press about the newly named Specter Litt released, asks Harvey to divert $2 million of the money he’s giving her to an untraceable account. 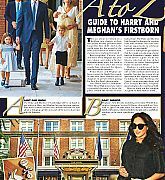 Obviously, Harvey’s first thought is that she’s trying to do something illegal, but she assures him she isn’t yet refuses to tell him why she has such an odd request. This is a money issue, so Harvey turns to Louis for help, but Louis doesn’t have the “emotional bandwidth” for this problem because he’s dealing with his own issues: Sheila. Earlier that morning, Sheila interrupted Louis’ mudding session and tried to seduce him with some below-the-mudd action. The scene made me feel very uncomfortable. Louis tries to resist her, but Sheila ignores him and simply gives him a burner phone that she will call to set up their next rendezvous in the next few days because she’s certain he’ll change his mind and embrace being a bad boy. Dr. Lipschitz says what we all want to tell Louis: Being a “bad boy” isn’t his thing and he shouldn’t do this because Sheila, like most of the women he pursues, can’t love him the way he wants/needs to be loved. (In case you forgot, which I did, Louis and Sheila broke up because Louis wants a family but she doesn’t.) But Louis being Louis refuses to get over the idea and continues to pursue Sheila. He tries to convincing her to leave her fiancé, but she rebuffs his sweet declaration of love because he broke her heart once before and she knows neither of them will change their minds about what they want out of life. So for now, Louis’ options are mistress or nothing at all. I’ve added 148 HD screencaptures of Meghan from last night’s episode of Suits. Enjoy! The first half of Suits’ seventh season ended with Donna planting one on Harvey and walking away, leaving us to spend the next six months wondering what this meant for their relationship. Well, the show’s midseason premiere gave us yet another Donna-centric cliffhanger — and one, frankly, that I didn’t think was necessary, but I’ll talk about that a bit more once we finish going through the episode. 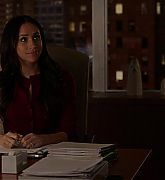 “Half Truths” pick up immediately where last season left off, with a confused Harvey frozen in Donna’s office post-kiss. How does Harvey react to the news? Well, in the most Harvey way possible. Avoidance! He tells Louis to tell Donna about Jessica’s disbarment and then heads home where he finds Paula — you know, his girlfriend — waiting for him. Harvey impulsively asks her to move in, but she politely declines because she doesn’t move too quickly, which is more than fair.